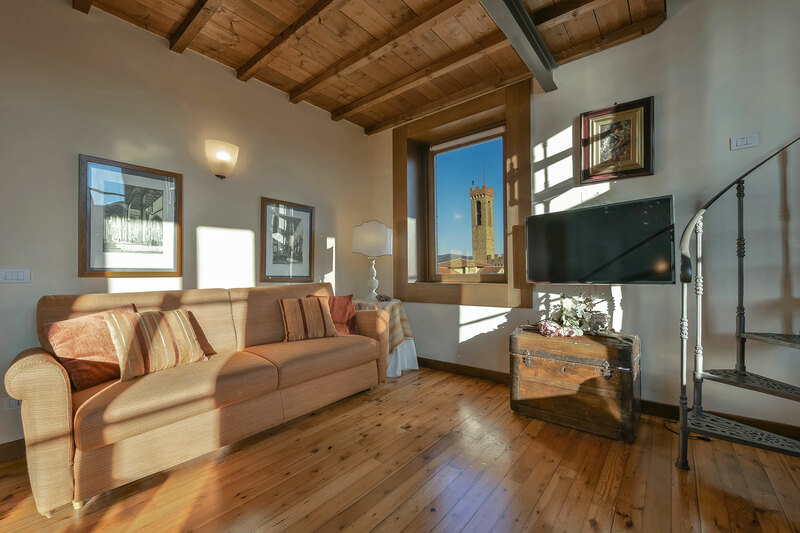 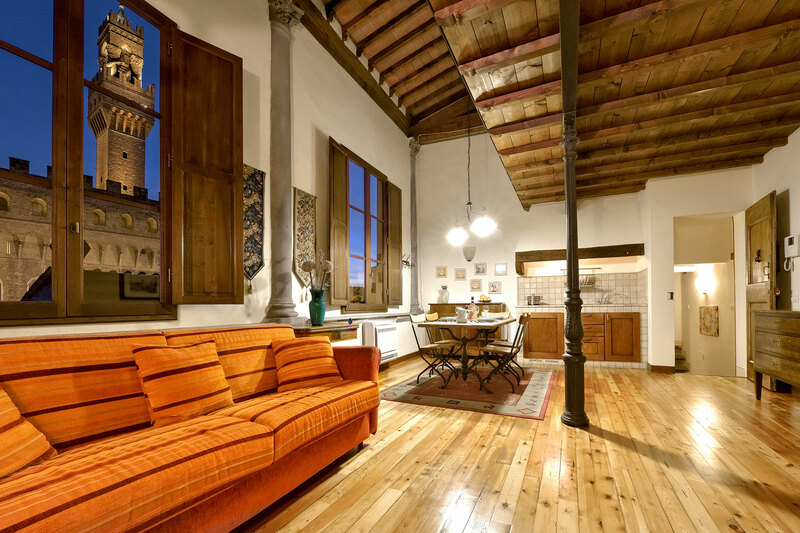 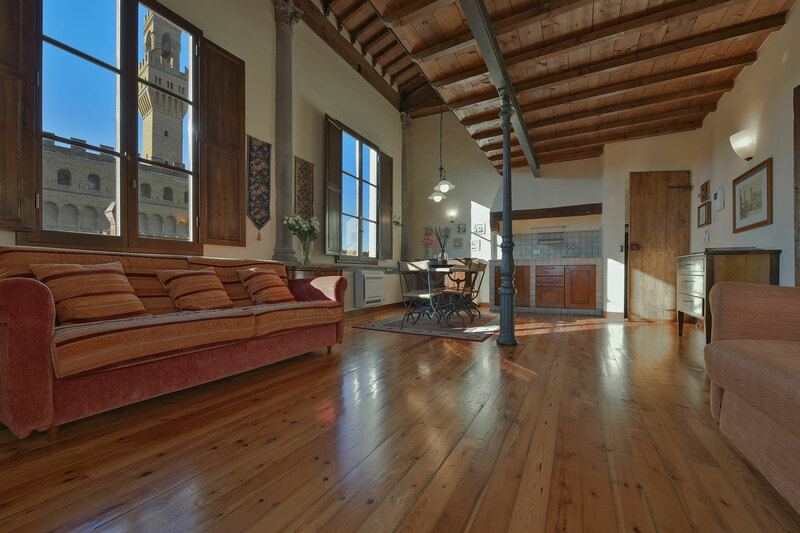 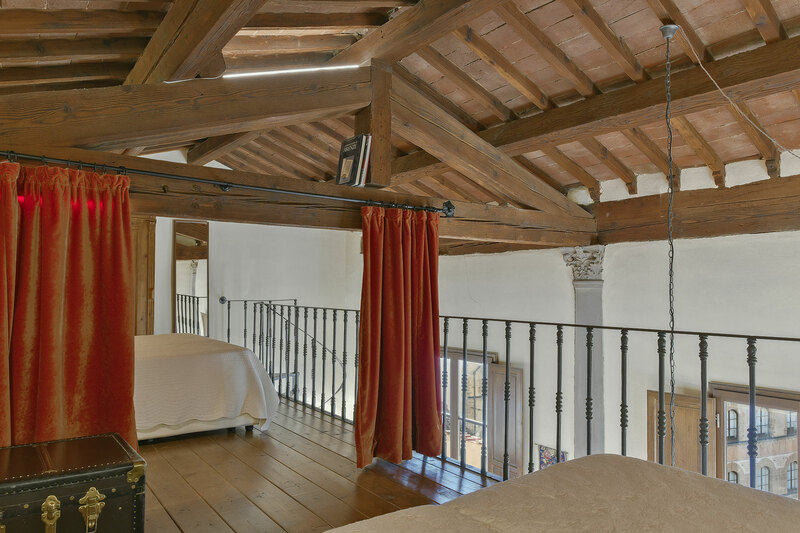 Situated at the 5th floor with lift + 10 steps, this gorgeuos loft, obtained from a turret of the Palazzo, consist in a very spacious living room with a sensational landscape view! 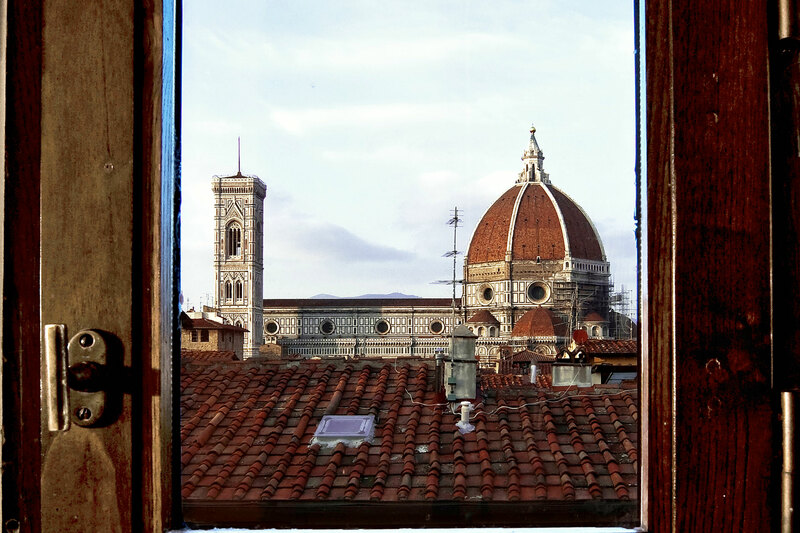 Three big windows that overlook the Palazzo Vecchio, Bargello, Duomo, and Chiesa della Badia. 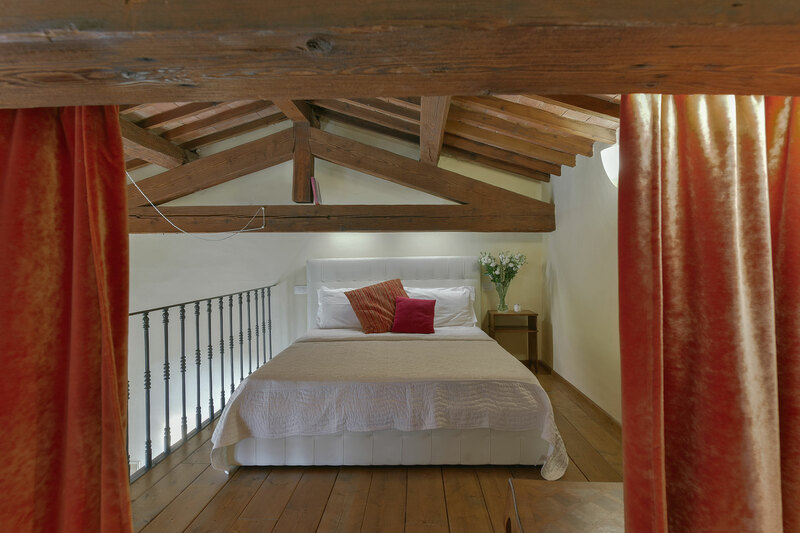 The loft includes a kitchen area, dining and living room, 160 cm double sofa bed. 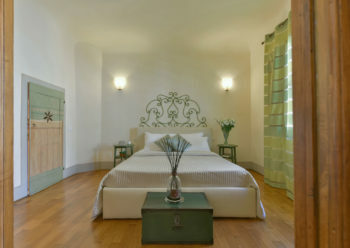 Two king size beds are located on the mezzanine. 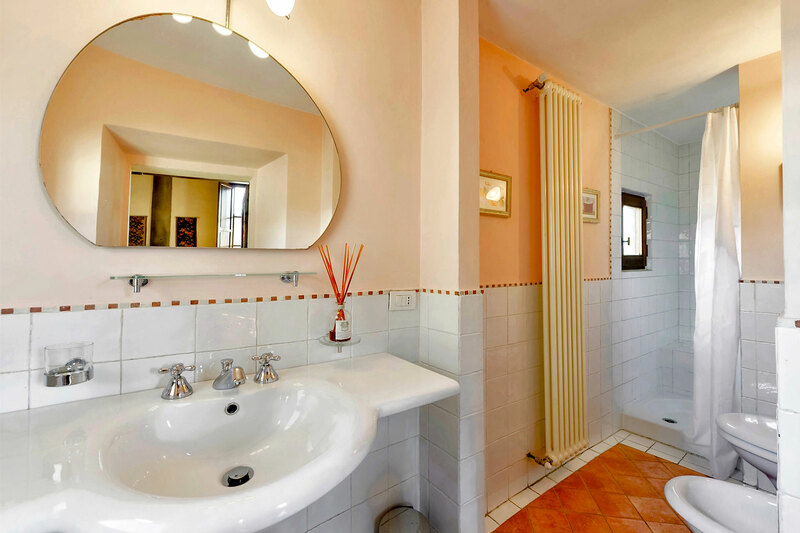 Bathroom with shower completes the room. 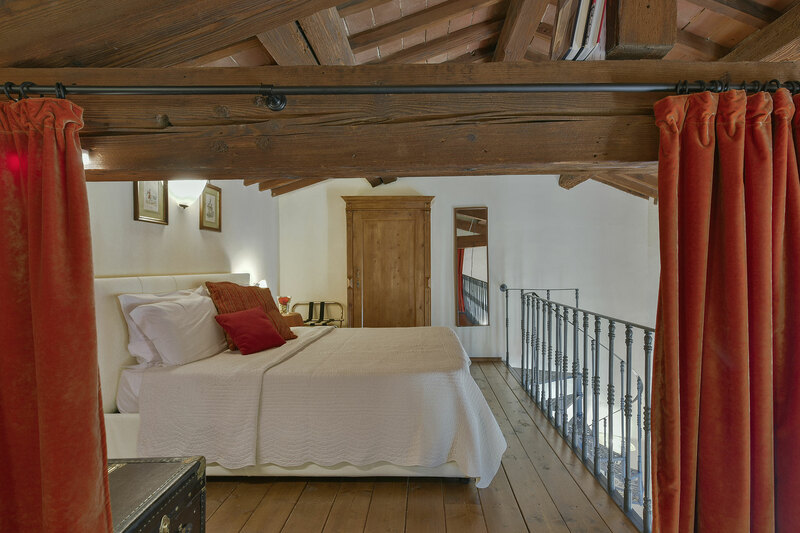 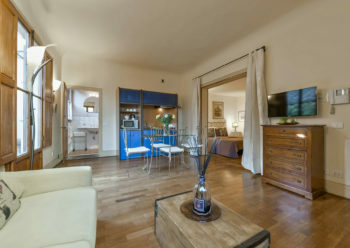 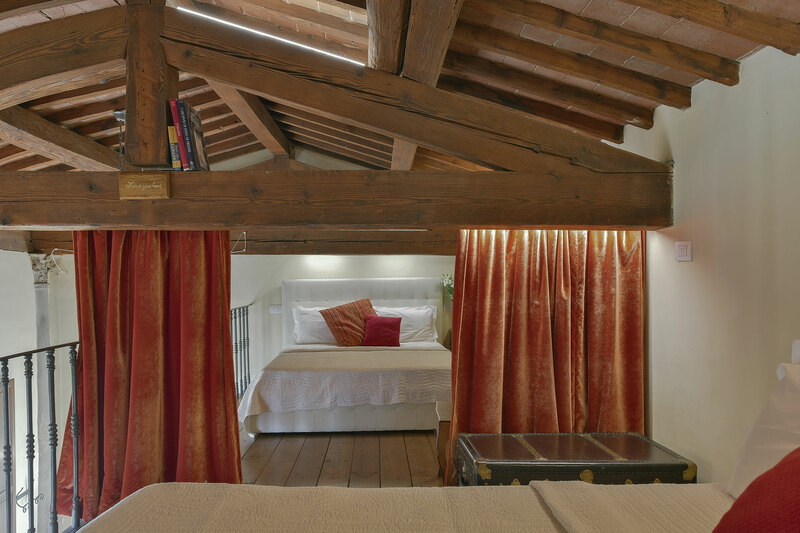 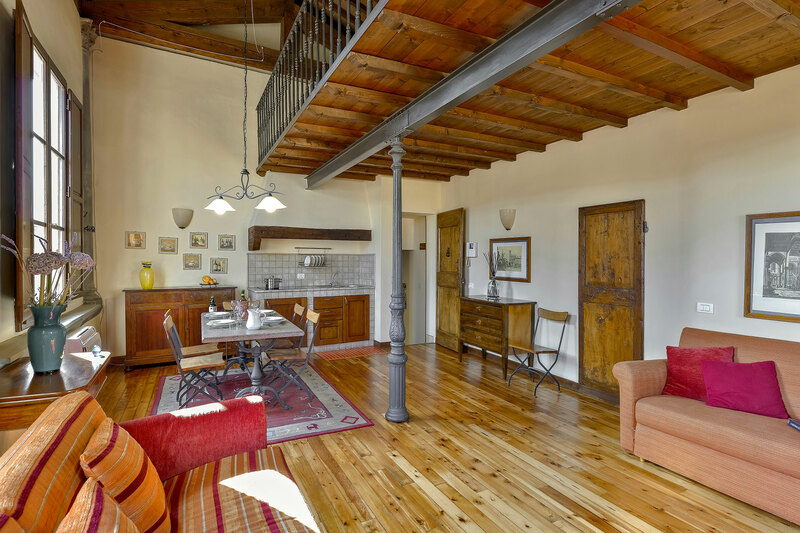 Enchanting furniture: ancient wood floorings as well as ceiling beams and fine doors gives the room an exclusive charme. 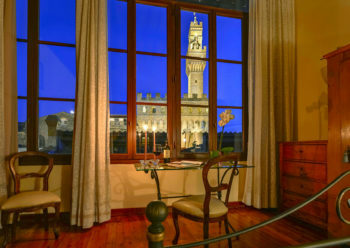 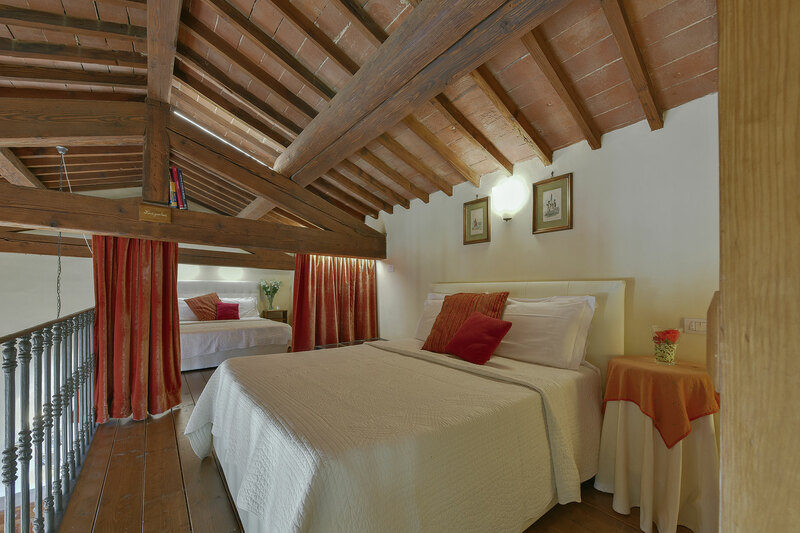 Silence, art and Florentine style will cheer you during your unforgettable stay.